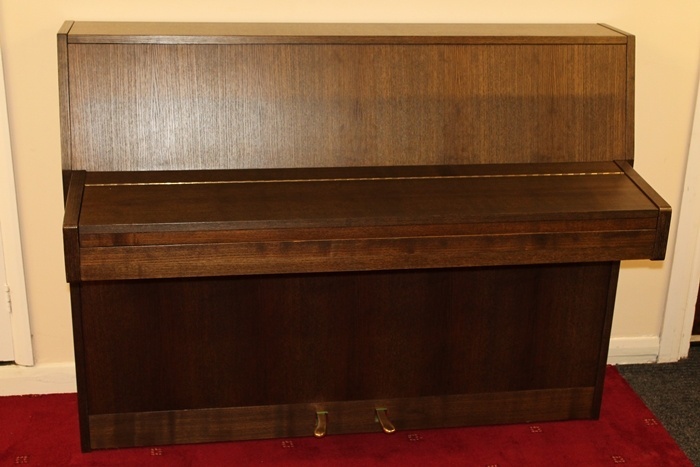 Eavestaff are a British maker of pianos whose popularity increased enormously in the 1930’s with their ‘mini-pianos’ which revolutionised the style of these instruments. 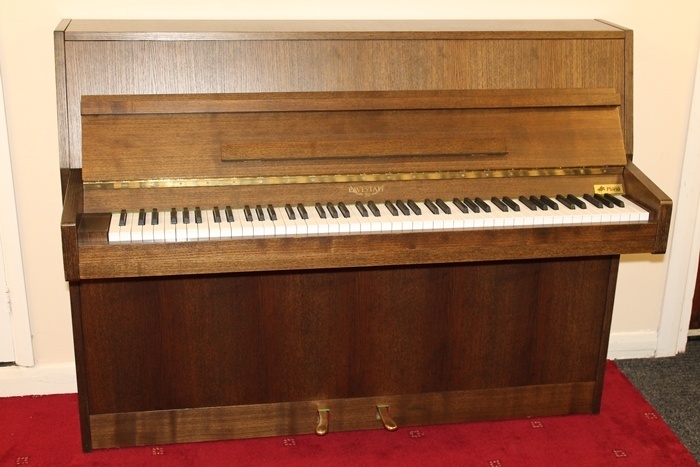 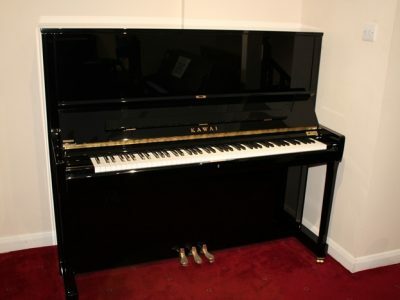 Typical of many pianos from the 1980’s this has a simple style but it isn’t often we come across the oak finish. 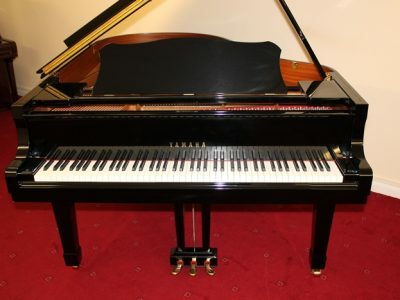 Internally it has had the hammers reshaped, been fully serviced, tuned and regulated and is therefore perfect for beginners to intermediate players. 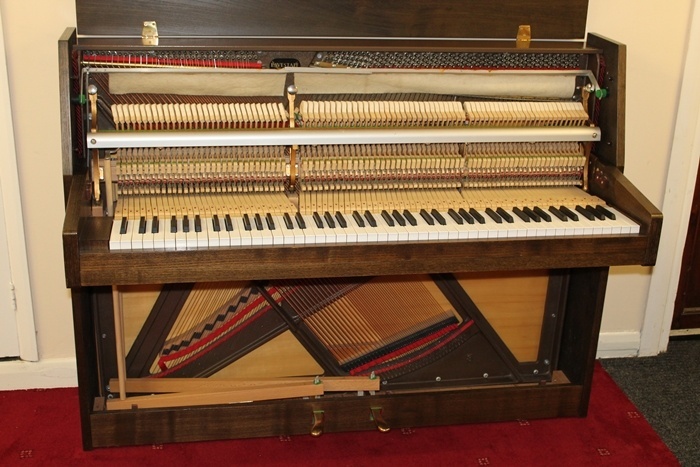 There is also a celeste rail fitted to this model which allows for quiet playing. 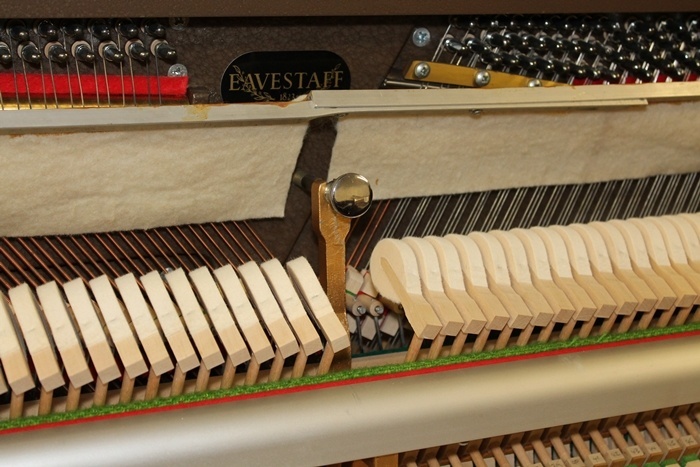 This is a hand operated lever under the keyboard rather than a pedal. 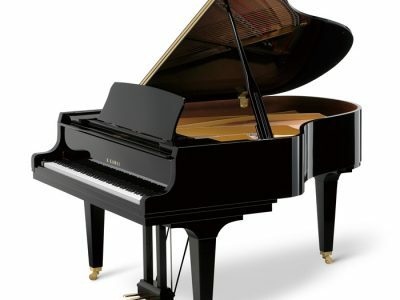 The tone is quite mellow and it has a rich bass.